When divorced parents let the negative emotions they’re feeling toward their former spouses – hatred, hurt, disappointment, guilt, shame, anxiety, frustration, mistrust and more – influence their decisions about child-custody issues, they are sabotaging their children. It is selfish, insensitive and extremely unproductive to let your personal vendetta determine the relationship your children have with their other parent – and extended family on both sides. Throughout the U.S. and the world divorce professionals are talking about proposed changes to child custody legislation. Investigative committees are being formed and new legislation is being considered about whether shared parenting may be the best custodial situation for all children of divorcing parents. While I am a strong advocate of shared parenting – it worked very successfully for me – I do not believe it’s the right or only answer for everyone. Because every situation is different when it comes to divorce, I certainly don’t believe legislation should be determining custody outcomes for any family. These are issues that caring, conscious parents should be deciding together with only one goal in mind – the very best interest of their children. Unfortunately, too many parents approach this issue as adversaries. When child custody becomes a battle, everyone loses. Parents are pitted against each other and innocent children inevitably pay the price. When custodial decisions move into contention, creating a scenario where lawyers, legislation and courts determine the direction of your children’s future, you not only lose power in your life, you lose harmony within your already fragile family structure. Sometimes, in the guise of “shared parenting” one parent puts greed or vindictiveness ahead of responsible parenting. 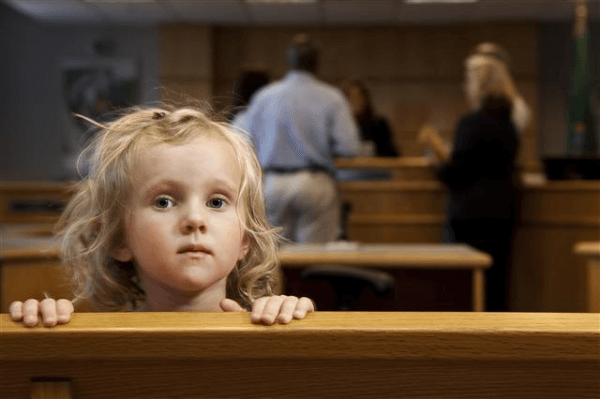 The courts cannot always distinguish toxic parental motivation and blanket legislation is certainly not helping children get the best parenting after divorce. • What’s best for our children today, tomorrow and in the years to come? • How can we minimize the physical, emotional and spiritual damage inflicted upon our children as a result of our pending divorce? • How can we best support our children through this difficult time? • How can we show your love and compassion for them as they move through challenges they did not ask for — or create? • What can we do to boost their sense of security, self-esteem and well-being during the transitions ahead? • Who can provide the least traumatic home environment for the children – and for what percent of each day, week, month and year? • How can each of us best contribute our assets – physical, emotional and spiritual – to create harmony, good will and peace within the family structure? • How will our children look back at this divorce a year, five years, ten years and more from now? Will they understand? • In summary: how can we make life better for our children after the divorce than it was before? The answers to these questions are not simple, nor are they black and white. They require honest communication between two mature adults who have their children’s best interest at heart. And yes, it may likely take more than the two of you to come to resolution on all the child-custody details. That’s when you can enlist the aid of professionals — mediators, therapists, coaches, parenting coordinators and a select group of very child-focused divorce attorneys. These experienced and knowledgeable experts will approach your divorce from a child-centered perspective. They have the tools and insight to help you reach agreement on issues that will affect the total well-being of your children in the least divisive manner. As tough as this process may appear, wouldn’t you prefer to make these decisions together, before you approach the court – and lawyers – rather than having them made for you? If you’ve been touched by separation or divorce, I value your comments and suggestions on this highly volatile topic. Rosalind Sedacca, CDC is a Divorce & Co-Parenting Coach and Founder of the Child-Centered Divorce Network. She is the author of How Do I Tell the Kids about the Divorce? A Create-a-Storybook Guide To Preparing Your Children — With Love! For her free ebook on Post-Divorce Parenting, plus coaching services, Rosalind’s blog, her free ezine and other valuable resources for parents go to: www.childcentereddivorce.com. Divorced Parents: 6 Steps To Stop Scarring Your Kids!